Great tour and great tour guide who really knew the island and provided an interesting tour. 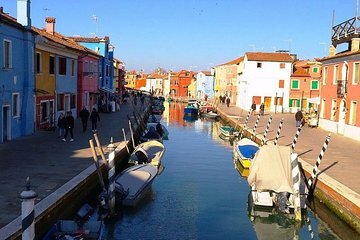 Burano is a beautiful, colourful little island easily reached from the centre of Venice by waterbus. Sylvia the local guide for this walking tour was a local and was very passionate and informative about the island. I thoroughly recommend that you take this tour to 'bring Burano to life'. Tour and the tourguide were incredible! I highlight recommend booking this tour.